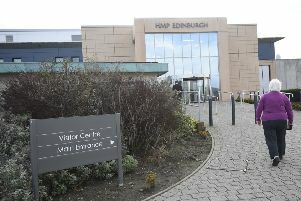 Local opposition politicians have been quick to blame the Scottish Government for the first increase in Clydesdale’s crime figures for a decade. 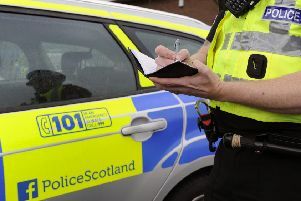 Police Scotland have reported that recorded crime in South Lanarkshire went up to 13,584, and increase of 869 on the previous year. Given that Clydesdale has almost exactly a tenth of South Lanarkshire’s population, that would work out at roughly 1350 local crimes in 2017/18 and an increase of over 80 on the previous year. Locally, the figures are up by four per cent, four times the national percentage. Labour’s regional MSP, Lanark-based Claudia Beamish claimed: “These figures show SNP cuts to local policing are misguided. “With more crimes and more than half of them throughout Scotland going unsolved, it is clear something is going seriously wrong. “It is essential the SNP start giving police officers the resources they need to keep people safe. “But the answer cannot be just more policing – this increase is also down to the SNP government’s wider failure to invest in our economy, create jobs and tackle poverty. Conservative Central Scotland MSP Margaret Mitchell said: “Rising crime figures are a direct consequence of the SNP’s failed policies and approach to crime. “This against a background of local stations closing and a cut to local police numbers,” she added.